Reballing Preforms Benefits - BEST Inc.
BEST’s patent pending EZReball ™ reballing preform consists of an array of solder spheres positioned with a high temperature polyimide stencil and an adhesive-backed carrier with custom engineered adhesive to hold the solder balls in place. The preforms can be made quickly without tooling charges in almost any possible array pattern, including various solder alloys, pitches and ball diameters. EZReball ™ BGA Reballing Preforms will accurately place a new array of solder balls relying on simple physical properties rather than operator skill. These preforms place the solder balls to within a tight tolerance. 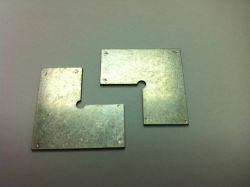 The preform process relies on edge registration so that the user “squares up” the preform with the package being reballed. Unlike other processes, the EZReball ™ process is faster and simpler the paper prefroms as paper remnants do not need to be cleaned from the surface. We package it better than the competition. That means you get more usable performs instead of performs that have had the balls knocked out during shipping. EZReball™ performs can be used on the smallest pitch state of the art CSPs and BGAs. These solder reballing performs have been used on parts with pitches down to 0.35mm and ball sizes down to 6 mils! Now you can reball 0.35 mm pitch and below BGAs using this technique. There are times when semiconductor packages warp or they have so little mass compare to the EZRebal(TM) preform that they need to have extra force "pushing down" on the device. This custom made weight will be placed on top of the device and allow for there to be intimate contact between the balls of the preform and the pads on the device. One custom weight weight included (frames sold separately) . Please specify package size or specify your EZReball(TM) preform so we can send you the correct weight. The EZReball(TM) preforms are designed to be aligned and "squared up" to the package being reballed by the precision cutting of the reballing preform. There are cases where these frames (weight not included) will help to align the (2) parts more easily without impact the reflow profile. These frames hold the corners of opposite ends of the package to the preform. They can be used with any pattern. Why EZReball ™ Preforms Over Stencil Methods Involving Loose Solder Spheres or Solder Paste? Using other stencil methods using loose solder spheres, you can typically process only one component at a time. Using the EZReball™ preforms, you can process many parts at the same time with only a few minutes of extra labor. Based on our time studies if you have to reball 10 or more devices the EZReball™ method is at least 30% faster! 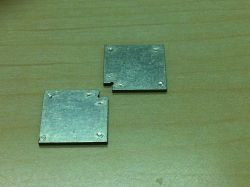 Small volume ball attach methods using stencils generally require you to have a different stencil for all of your different array patterns, which gets very expensive. BEST can process your EZReball™ stencil using its LASER machining capabilities eliminating the need for mechanical fixturing which is expensive and takes time to manufacture. There are no tooling costs associated with any new EZReball™ patterns ordered. EZReball™ reballing preforms are designed to work with your existing tools and equipment. You can use any adequate reflow system (BGA rework system, oven, etc) you have.